PORTLAND, Ore. – Oregon State University kicked off an initiative Thursday that encourages Oregonians to imagine their vision for the state over the next 50 years. Called “Vision Oregon,” the initiative was announced after President Edward J. Ray’s annual State of the University address at the Oregon Convention Center. 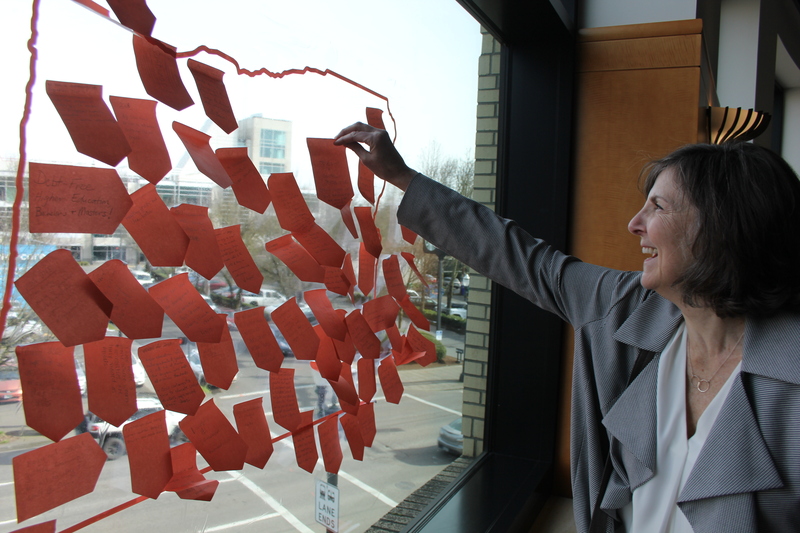 Following the address, attendees were encouraged to write their ideas and leave them on a large display in the shape of the state of Oregon. “As Oregon’s statewide university, we want to engage Oregonians from every corner of the state and every age to share their vision for Oregon in 50 years,” said Steve Clark, OSU vice president for University Relations and Marketing. “We want all Oregonians to help imagine what they want our state to be in the future. OSU will gather goals and visions for the future over the next nine months online at events statewide, including county fairs. 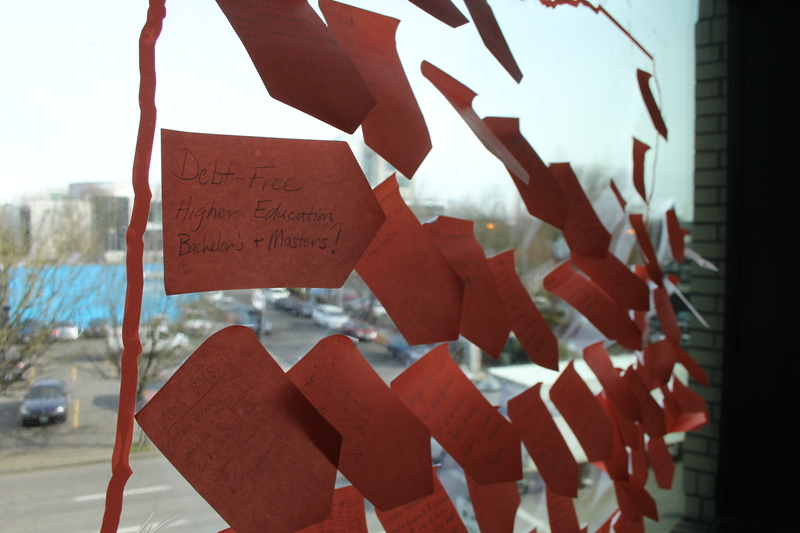 Ideas can be submitted at https://oregonstate.edu/vision-oregon. In October, the university will share the collective input of Oregonians with civic, government, education, media and business leaders. The university will place a record of this input in time capsules at Oregon State campuses in Corvallis and Bend. “The time capsules will be opened in 2068 – on the date of Oregon State University’s bicentennial – as a reminder of what Oregonians 50 years earlier sought to achieve and inspire to change in our state,” Clark said.